Employability of graduates has become a core focus for universities. 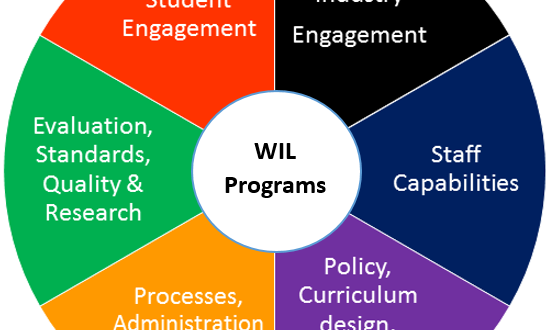 Publication of the National WIL Strategy in 2015 made work-integrated learning a key strategy for Australian universities across all disciplines. At the same time, analysis of WIL in STEM courses showed science was lagging a long way behind its professionally accredited cousins in engineering, IT and applied disciplines like agriculture. The WIL in Science projects seek to build capability in Science faculties to lead, design and deliver WIL in science courses. It draws on the excellent work in other disciplines and projects (such as the employABILITY network and OLT Good Practice Guides) and leading WIL scholars to apply these ideas to science degrees. WIL Basics: what is WIL, benefits and challenges of WIL and current state of WIL in science. Good Practice: tools and guidance for designing and delivering ‘good’ WIL. The WIL in Science network is supported by the Australian Council of Deans of Science. It will host its 3rd annual WIL in Science Forum in Melbourne on Friday December 7th – details to be posted on the ACDS Teaching and Learning Centre site.